You're starting to see it everywhere. Uniforms, polyester t-shirts, polyester sweatshirts, polyester bags. It utilizes a very basic concept. Heat pressing a design from the transfer paper onto the finished product. Sublimation can accomplish the most intricate of designs. Since the design does not have to be vectored, customers can simply give us a picture file and we can apply it to the intended product. 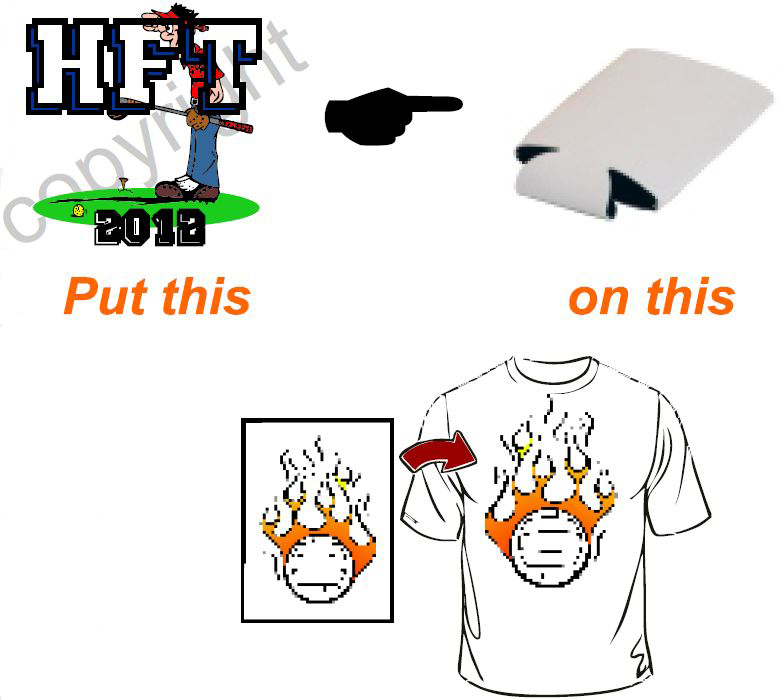 Sublimation does not involve a long process like screen printing. The image can be taken from jump drives, emails, and any other device that a customer brings to us. We can sublimate a full color picture of your kids on a shirt, mug, mouse pad, koozie, and all of our other sublimateable items. (As seen in the pictures). The process includes printing from the computer onto a special transfer paper using special ink. The intended design is printed mirrored onto the paper and placed onto the product. Once the transfer in in place, it is heat pressed to the intended product using special temperatures. Once the image is in the product, it cannot be removed. Sooooo.... how much does it cost? Similar to embroidery and screen printing, it is based on the artwork and quantity. But it doesn't matter how many colors are in the design as long as you pruchase from us. To get a quote for your project, give us a call, send us an email with the artwork, or click on the online quote form below. Go to the promotional items page to see a sample list of sublimateable items.